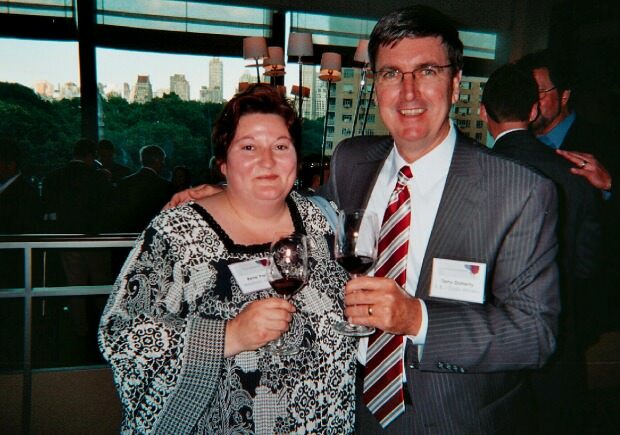 Rene Parks, wine specialist for Westborn Market, was recently invited as one of only two people from Michigan and 200 from throughout the U.S. to attend the Wine Dialogues seminar in New York City, hosted by the Gallo Winery. The event was moderated by wine veteran and Master Sommelier Joseph Spellman, chairman of the Court of Master Sommeliers. Gina and Matt Gallo, grandchildren of Ernest and Julio Gallo who founded the Gallo Winery in the late 1930s, welcomed the buyers, vineyard owners, suppliers, distributors, wine makers and wine specialists, including Parks. Before her trip to New York, Parks researched the Gallo Winery and learned that in 2000, one in every four bottles of wine purchased in the U.S. was a Gallo wine. Today, many are premium brands which are found under well known labels that include MacMurray Pinot Noir, Frei Brothers, William Hill, Barefoot Wines, and Gascon and Alamos Malbec. Parks was impressed by the Gallo’s rich family history and the commitment to family-run businesses like Westborn Market. In addition to wine makers and vineyard owners in the U.S., the seminar included representatives from Argentina and Spain whose wines are sold by Gallo. Parks shared that while she was honored to be invited to attend Wine Dialogues, she was grateful for the opportunity that Westborn Market has given her to receive ongoing training and pursue her passion for wine. Westborn Market has stores in Dearborn, Berkley and Livonia. Regular business hours are 9 a.m. to 9 p.m. Monday through Friday, 8 a.m. to 9 p.m. on Saturday, and 8 a.m. to 7 p.m. on Sunday. Location information, online ordering and store specials are available at www.westbornmarket.com.